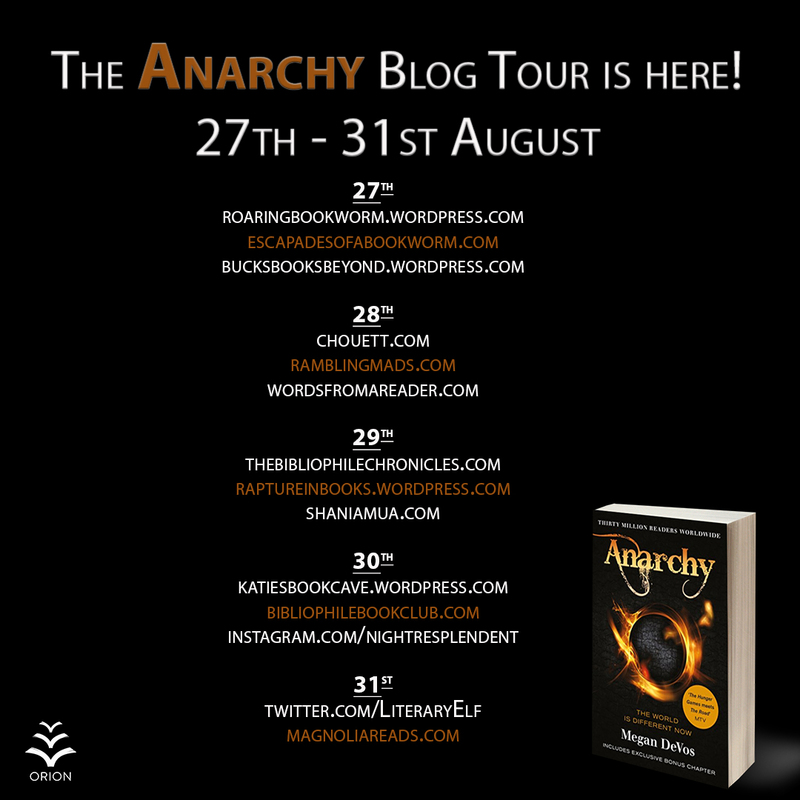 Welcome to my stop on the Anarchy blog tour! 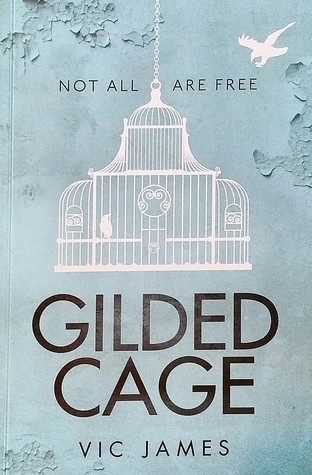 Today, I have an extract below of the book to whet your appetite and if you want some more, a chance to win a copy of the title, you just have to scroll down and follow the tweet. It was very dark in Greystone, as they seemed to have the same electrical problems we had, but candles flickered here and there to give enough light to illuminate our target. 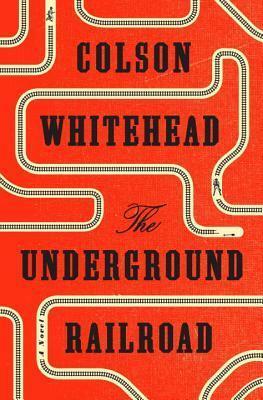 The building we aimed for was relatively unremarkable, and the only thing that distinguished it from the other bland, grey buildings was a small, intricate carving of a fire on the door– fire that can only burn with kerosene. My eyes scanned the area once more and saw nothing. In my mind, I could feel the minutes ticking by, each pause wasting more and more of our precious time to get in, get our supplies, and get out. I gave a tiny flick of my hand to signal them to follow me before sprinting across the path and landing by the door. I paused for only a second to press my ear against the door, listening on the off chance someone was inside. Silence greeted me. I turned the knob to let myself in, quickly followed by Kit and Dax. Our prize lay all around the room, piles upon piles built up along the walls. The moment we entered, we each gathered up several gallons of kerosene, throwing one in our backpacks and carrying another to leave one hand to wield a weapon. I nodded, waving them out the door to see them disappear into the darkness before turning back around to see if there was anything else useful. They were only gone a few seconds when I heard it. All of a sudden, a loud clang sounded from behind me followed by a hushed gasp. I jolted around, searching for the guard and expecting to see a gun in my face. What I saw was worse. There, standing in the doorway next to a pile of toppled kerosene cans, stood Jett with a look of surprise on his face and a hand clamped over his mouth. ‘I wanted to help on the raid!’ he replied, whispershouting more than whispering. He looked eager and enthusiastic and far too happy about our current situation, especially after making such a racket, and it was as if he didn’t fully realise the seriousness of it. He had probably alerted their entire camp, half of who would be on their way toward us in a matter of moments. I shushed him to cut him off, my eyes wide in anger. What an idiot to follow us here; now he was going to get us all killed. My eyes darted toward the door and I was relieved to see no sign of Dax or Kit. At least they had made it out. Jett stood with his chest puffed out as best he could, trying to appear brave and unafraid. His little fists were clenched by his side in determination. ‘Jett, we have to go. Now,’ I seethed, rushing forward and yanking him by the arm. He grumbled quietly, muttering something about ‘just wanting to help’. My grip on him was tight as I hovered by the edge of the door, glancing around to look for guards. It was, miraculously, clear. ‘Come on,’ I whispered, tugging him forward. I stepped forward, pulling our bodies out of the cover of darkness into the dim lighting provided by the streets. ‘Hold it,’ a voice directly behind me said. My heart plummeted in my chest. I heard the distinct click of metal on metal – the sound of a gun loading into place. I closed my eyes in a grimace as I shoved Jett in front of me, shielding him from whoever was behind me. I heard the terrified gasp break through the false bravado he was trying so hard to maintain, giving way to the fear he should have been feeling all along were it not for his disillusioned sense of things. ‘Turn around,’ the voice commanded. A girl’s voice, I was surprised to discover, though it certainly didn’t lack any authority. I turned slowly on the spot, tucking my gun into my waistband discreetly on the way and managing to keep Jett shielded behind me. After dropping the jug of kerosene by my feet, I raised both of my hands in the air by my head, more concerned with getting the terrified Jett out of here than myself. My eyes moved from the ground, up her body, and to the gun in her hand pointed straight at my chest before finally locking on her eyes. They were a deep green, and her face was framed by wisps of blonde hair that fell from her haphazard bun. She was, without a doubt, absolutely beautiful, and she was fully prepared to kill me. And now for the #Giveaway, just follow the tweet! Next Post My stop on “The Haunting Of Violet Gray” tour!